It is a wonderful vocabulary-focused learning game for promoting word recognition and spelling skills as well as students’ abilities to produce complete simple sentences. Besides being fun, it helps students get more familiar with common patterns associated with spoken English. 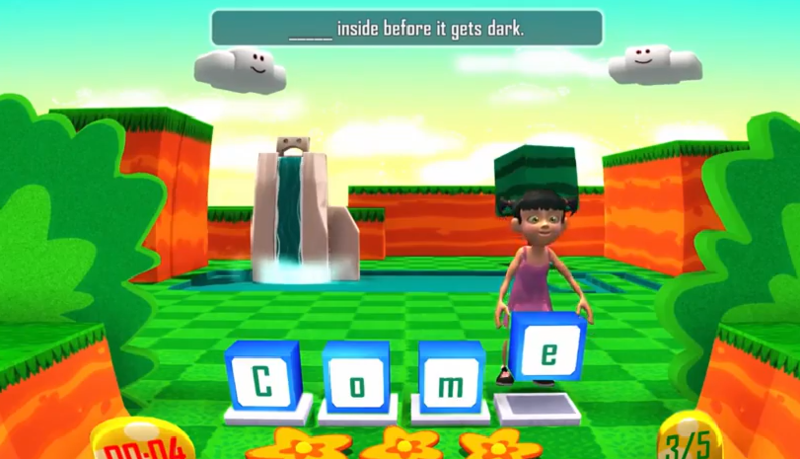 The students are asked to glue the letters or words, that appear on boxes which have been scrambled up on a game board, in the correct order to make a word or sentence. Build-a-word and build-a-sentence activities. The students should strengthen their movement skills and spatial awareness strategies to quickly navigate on the game board and successfully create words by picking up boxes quickly and placing them on the appropriate spot.